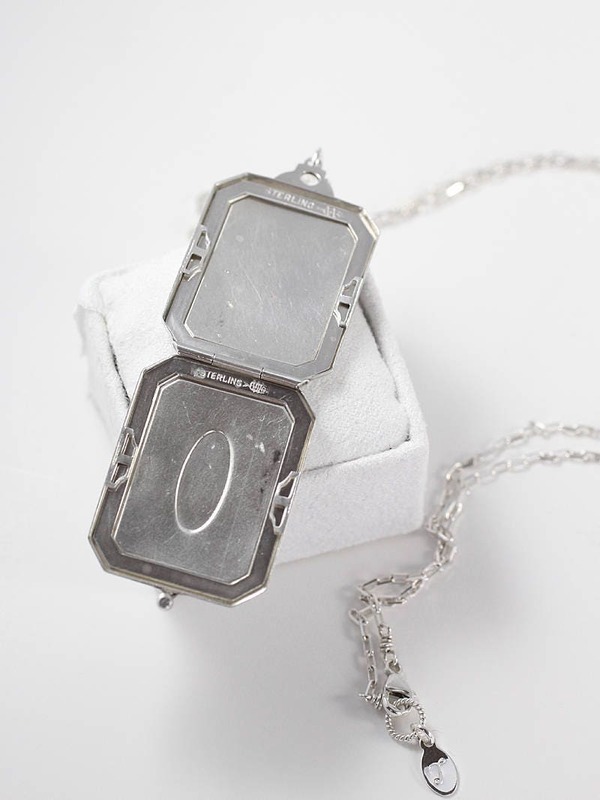 A wonderful and rare sterling silver locket features a subtle olive green enamel with an off-white enamel border, blank sterling silver oval center, and fancy shaped sterling silver top. 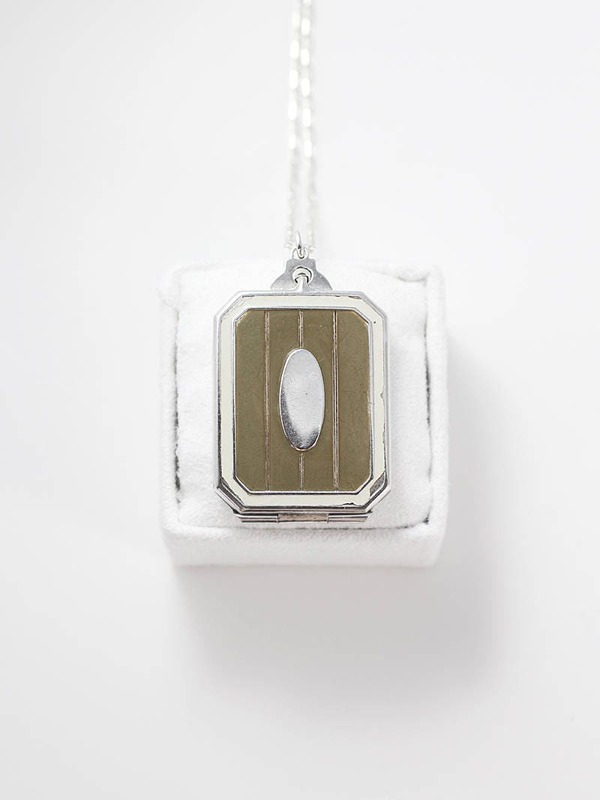 The back of the locket features the same off-white border with a mocha-y brown enamel. 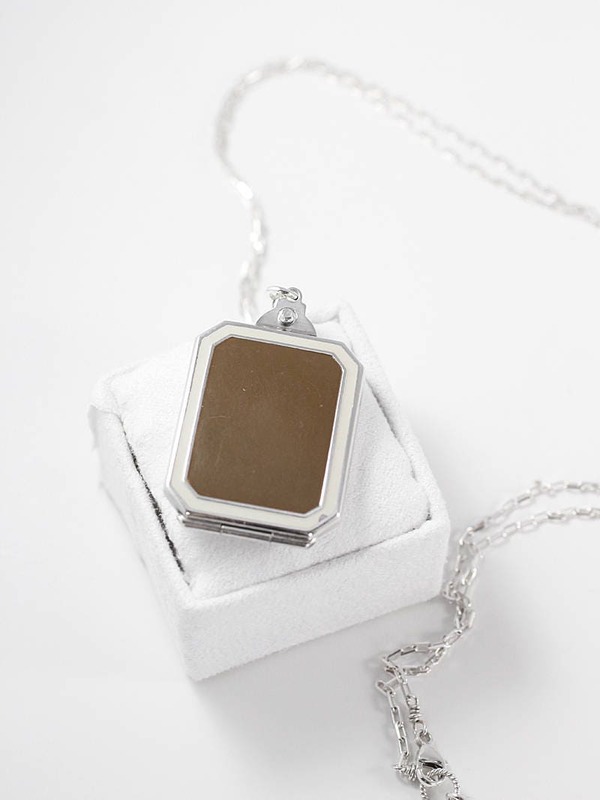 The locket opens from the top down to reveal two removable frames that slip in and out to hold your beloved photographs. 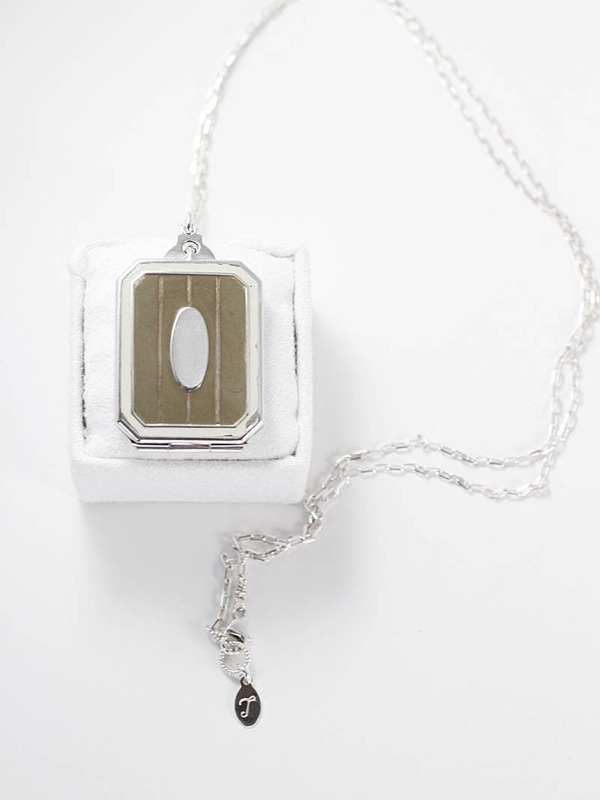 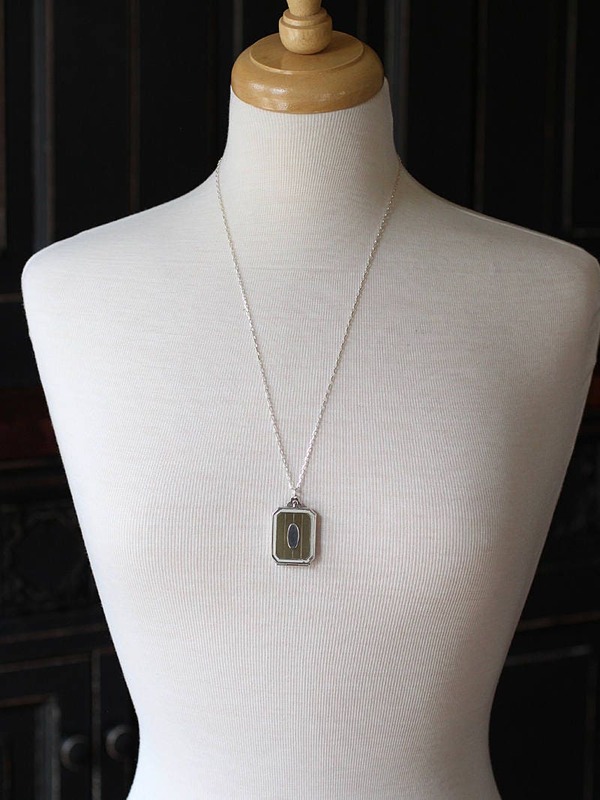 The pendant is set on a new sterling silver drawn cable chain hand finished with a trigger clasp and ring.